The US chocolate maker Mars, one of the world’s largest privately-held companies, issued a voluntary recall in 55 countries for Snickers bars, Milky Way minis, and some other candy bar varieties that were manufactured in a Dutch factory between December 2015 and January 2016. 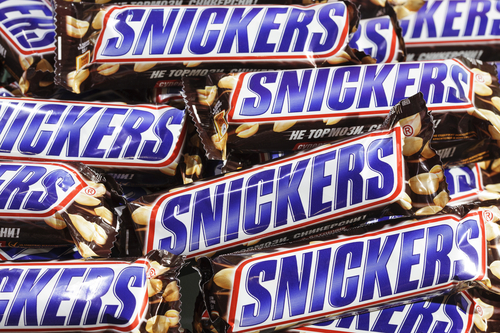 A red piece of plastic was found in one Snickers bar by a customer in Germany; that piece of plastic was traced back to a protective cover used in the manufacturing process at a Mars production facility in the Netherlands. This recall potentially covers millions of candy bars; the recall does not affect Mars’ products made in the US. In an interview with the Financial Times, a financial analyst estimated that the recall would cost the company tens of millions of dollars. Prior to the recall, what specific costs of quality could Mars incur in the design, production, and distribution of its candy bars? Again, use your imagination. What specific costs were the analysts referring to when estimating that this recall could cost Mars “tens of millions of dollars?” List as many costs as you can imagine might be incurred related to the recall. Classify the costs you listed for Mars (both pre-recall and post-recall) by type of quality cost: prevention, appraisal, internal failure, or external failure. How will zero-based budgeting impact Unilever?